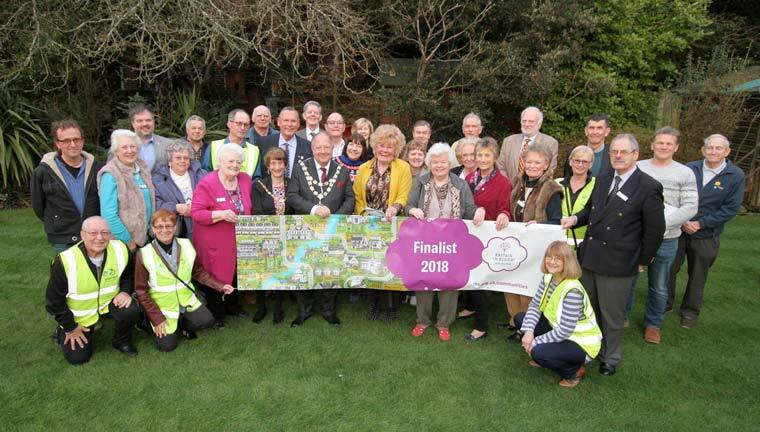 Bournemouth In Bloom officially unveiled the town’s Britain In Bloom banner at their Annual General Meeting held at the Miramar Hotel. Special guests during the official unveiling of Bournemouth’s Britain in Bloom banner, were the mayor and mayoress of the town, Lawrence and Elaine Williams. A talk was given by daffodil expert Gwynne Davies as well as information about the coming year from Bournemouth In Bloom chairman, Chris Colledge. For this important year, when the town will be aiming to win prestigious Britain In Bloom, a number of special projects have been planned. These include a First World War memorial display, a planting to recognise the suffragettes 100th anniversary, a vegetable garden to be created by people with disabilities and a number of school pursuits aimed at encouraging young people to start gardening.